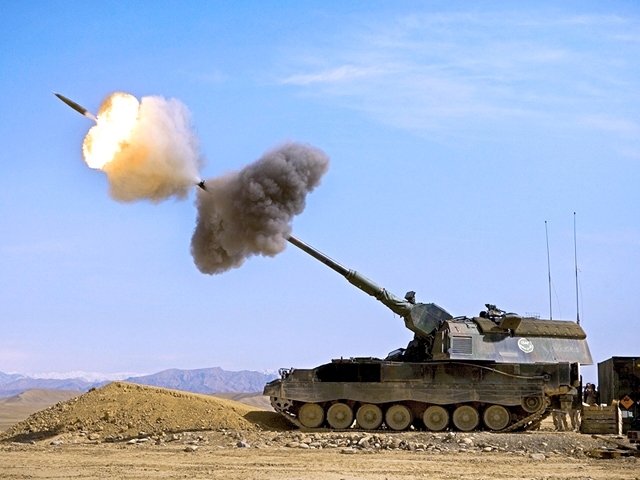 On September 29, a contract on procuring PzH2000 self-propelled howitzers from the German Armed Forces was signed at the Ministry of National Defence. The contract was endorsed by Lithuanian Ministry of Defence Director General for Capabilities and Armaments Colonel Darius Užkuraitis and Head of Armament Department of the Federal Ministry of Defence Wilfried Georg. Commander of the Logistics Command Colonel Sigitas Mundris signed the contract on behalf of the Lithuanian Armed Forces, the recipient of the equipment. The contract was endorsed in the presence of Minister of National Defence Juozas Olekas and Ambassador of Germany in Lithuania HE Jutta Schmitz. «The changed geopolitical situation and lessons learnt from the conflicts in Georgia and Ukraine have made the Lithuanian Armed Forces prioritize an efficient fire support to maneuver units on the course of its development. 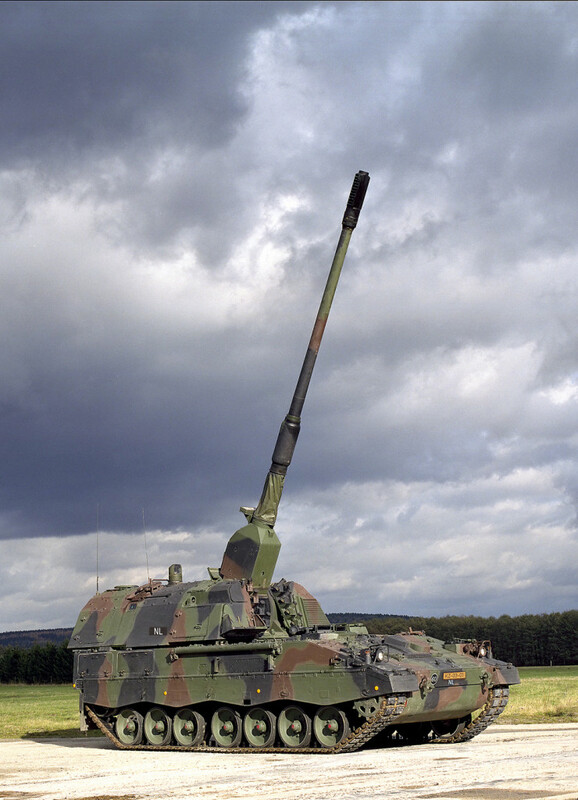 Looking for solution, we turned to Germany, our ally, and its understanding and good will has helped us come up with a compromise on the procurement on one of the most modern self-propelled howitzers in the world within a particularly short time. That is a clear demonstration that Germany understands the reasons behind our security concerns and is sending a clear signal that it stands firmly by Lithuania», Minister of National Defence Juozas Olekas says. EUR 58.3 million, to be allotted until 2019, has been appropriated for the artillery enhancement project. EUR 16.2 million will be paid to Germany for 53 pieces of military equipment. 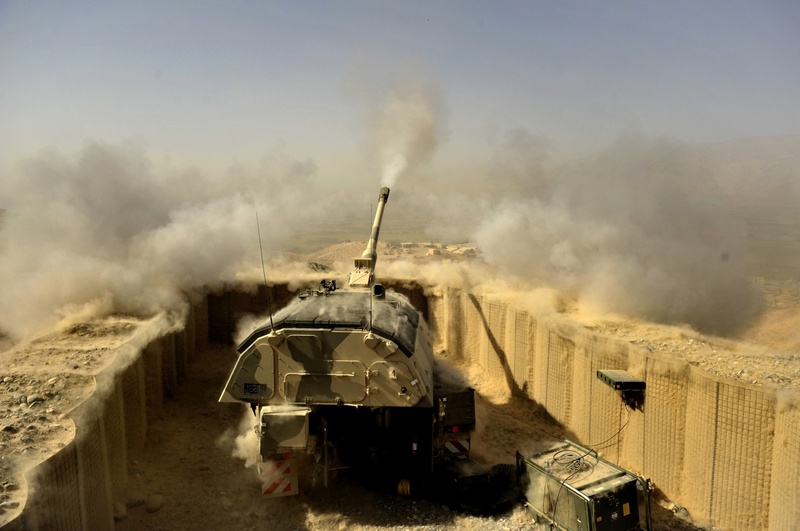 The rest of the sum (EUR 42.1 million) will be used for modernisation of the equipment, installation of battlefield management system and communications and control equipment, for adjusting military infrastructure for the new howitzers and for training personnel to operate them. 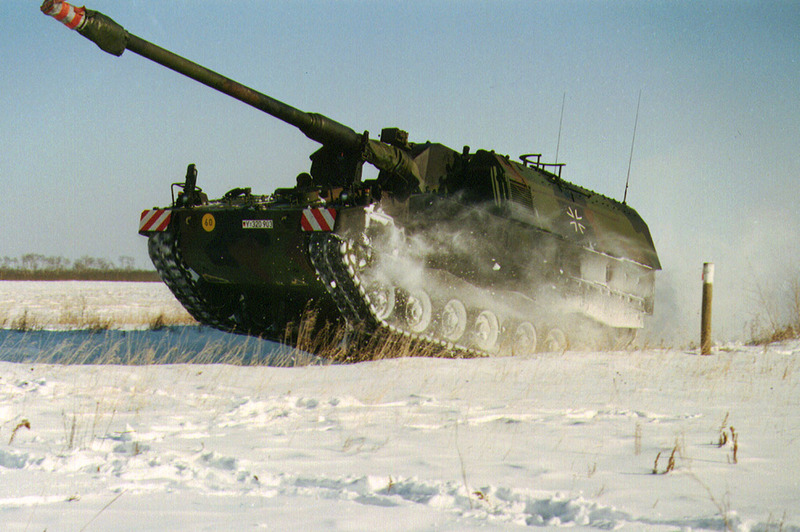 The Lithuanian Armed Forces will obtain 21 155-mm self-propelled howitzers from the German Armed Forces under the contract. 16 of them will be usable for combat purposes, 2 will be used for training firing and driving skills, and 3 more – for spare parts. The Lithuanian Armed Forces will also receive 26 M577 V2 armoured command vehicles and 6 BPZ2 recovery tanks. All of the procured equipment was formerly used by the German Armed Forces. Representatives of the German Armed Forces will also instruct Lithuanian soldiers on technical maintenance and servicing and operation of the equipment, and its employment in operations at operational planning level. 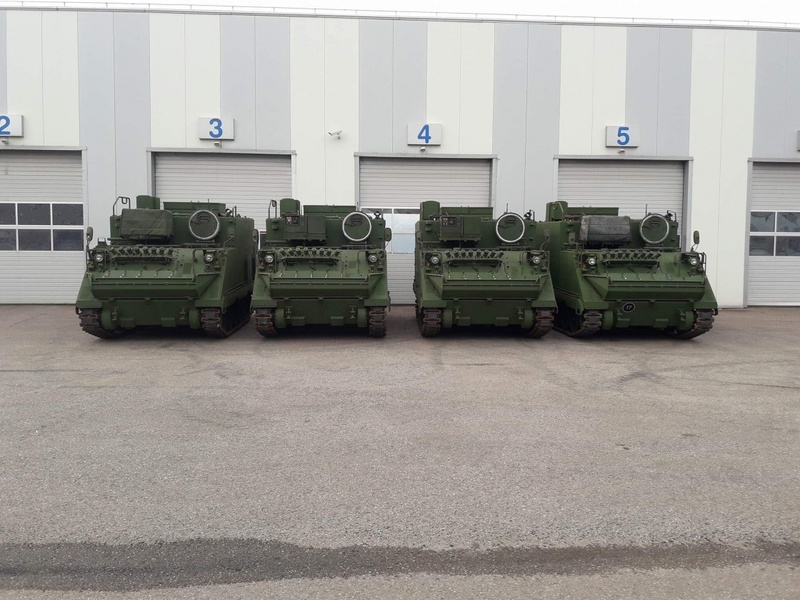 The new purchase of the Lithuanian Armed Forces will be used by General Romualdas Giedraitis Artillery Battalion of the Mechanised Infantry Brigade Iron Wolf based in Rukla. 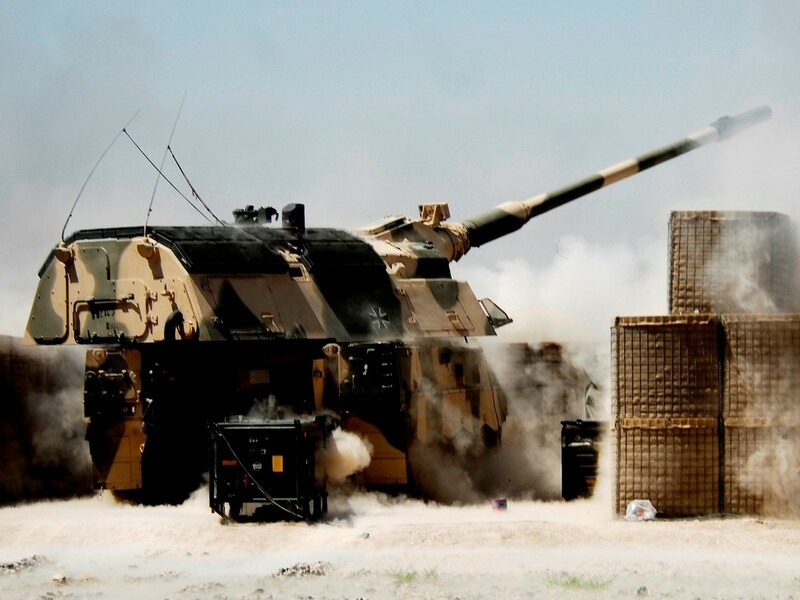 The Battalion currently operates 105-mm howitzers with effective range of 11 kilometres, while the new PzH2000 self-propelled howitzers will enable it to destroy targets at the range of 40 km. Lithuanian Armed Forces’ personnel will begin training for using the new purchase by the end of the year. Lithuanian soldiers will attend courses, meet with German experts and learn from their experience at military education institutions of both, Germany and Lithuania. The first of the howitzers are expected to be brought to Lithuania in 2016, with the rest to come until the deadline of 2019.